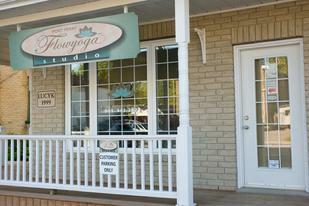 The Port Perry Flowyoga Studio is located in beautiful, historic downtown Port Perry Ontario, steps away from Lake Scugog. Our objective is to provide a safe and therapeutic environment for participants to experience the benefits of Yoga with particular emphasis on building self esteem and confidence in one's body. Maria has been practicing and studying yoga since 1992. She began teaching Flowyoga in 1996 after completing an intensive year-long program with Kaila Kukla at the Flowyoga Centre in Toronto. Her classes provide a non-competitive environment to experience the benefits of yoga to people of all levels of ability and experience. Yoga has become an integral part of her life and her objective is to share it with others at this studio.